In the years following 9/11, espionage stories became less fantastical, more introspective and notably critical of Western hegemony. An example of this trend is Paul Greengrass’ blockbuster The Bourne Supremacy (2004), which chronicles the adventures of a rogue agent (Matt Damon) who operates against the CIA in order to expose government-funded conspiracies. The Jason Bourne films are based on Robert Ludlum’s eponymous literary series, written between 1980 and 1990. Adapted to fit a contemporary setting, their rapid editing style, real urban locations and handheld cinematography convey a sense of trauma specific to the disaster news aesthetic pervading coverage of 9/11. The sequel to The Bourne Supremacy, The Bourne Ultimatum (Greengrass, 2007), even grossed over $400 million worldwide, surpassing Pierce Brosnan’s last outing as James Bond in Die Another Day (Lee Tamahori, 2002). The James Bond franchise reacted to these cultural changes by returning to its origins in the Cold War. In doing so, they reflect a conscious effort to produce nostalgia for an earlier, simpler time. The Bond films (1962-present) are based on the works of British author Ian Fleming (b. 1906, d. 1964). Most of Fleming’s stories rely on nuclear technologies, geopolitical conflicts and thinly veiled references to real-life spy organisations. From his early literary beginnings, the character of James Bond thus gained popularity as a heroic figure of British masculinity. 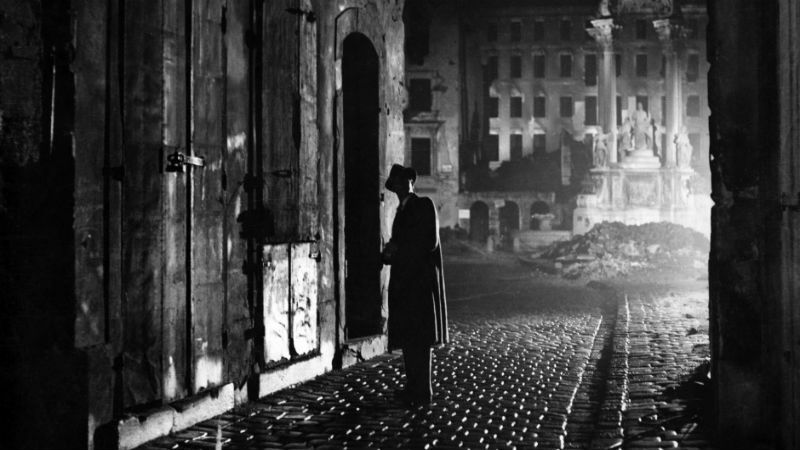 Despite overt stylistic references to the Jason Bourne movies such as handheld shots, quick cuts and graphic violence, many formal features link Martin Campbell’s post-Bourne reboot Casino Royale (2006) to post-war film noirs such as Carol Reed’s The Third Man (1949, pictured below). For example, the use of black-and-white film stock and night-time setting convey the sense of moral ambivalence pervading noir pictures. This nostalgic appeal was pursued in its sequel, Quantum of Solace. Alongside copious amounts of handheld cinematography and incredibly swift editing, some of the film’s most impactful moments rely on creating nostalgia such as the aerial dogfight that takes place in the latter half of the script, realised on screen with WWII-era Douglas DC3 and 1960s-era Aermacchi SF260P aircrafts. In her book The Skin of the Film (Duke University Press, 2000), Laura Marks explores the ways in which films can signify through their materiality, i.e. that stylistic obsessions and contradictions can reveal ‘cracks’ in a film’s cultural fabric. Marks suggests that vision itself can be tactile, as though one were ‘touching’ a film with one’s eyes (xi). Marks terms this as ‘haptic’ visuality. Marks likens haptic criticism to archaeology, whose mission is to ‘dig up the traces that the dominant culture, and for that matter any fixed cultural identity’ (Marks, 2). This article intends to focus specifically on David Bordwell’s concept of ‘intensified continuity’ editing to determine how the second Daniel Craig film, Quantum of Solace (Mark Forster, 2008; pictured above), nostalgically references the 1970s conspiracy thriller genre and thereby renders its nostalgia palpable and “haptic”. Quantum of Solace opens with Bond on a dangerous car chase through the tunnels that lead from Lake Como to Siena, both in Italy (see video below). We begin in medias res. Accompanied by David Arnold’s ominous score, the camera tracks forwards very quickly as if hovering over the sea. Insert shots of guns being loaded and Alfa Romeos following the grey vehicle in front of them contrast with the calming stillness of the previous shots. Anticipation is built through the use of music and quick cutting. Fierce sounds of wheels, engine roars and gunfire overwhelm the spectator. The chase continues onto a quarry, where the three cars (two Alfa Romeos and one Aston Martin) are joined by an Italian police van. Aesthetically, this scene showcases many trademarks of contemporary action cinema such as very fast cuts, an emphasis on impressing the viewer with audio-visual stimuli and a victorious hero. 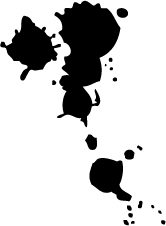 Nevertheless, even as one reaches the end of the sequence, the filmmakers do not clarify exactly why the protagonist is being chased. Chesse and Pearson’s editing style avoids the traditional alternation of wide shots and close-ups, preferring to use close-ups almost exclusively throughout. Placed either at wheel level or aligned with Bond’s own gaze, the camera’s varying points of view are edited in order to contrast between visual dichotomies such as: exterior / interior, mountain / tunnel, light / darkness, and Bond / villains. These techniques characterise what Bordwell calls ‘intensified continuity’ editing. In his essay Intensified Continuity: Visual Style in Contemporary American Film (2002), David Bordwell tracks several changes in contemporary American filmmaking: 1) increasingly rapid editing; 2) forcing perspective through the use of bipolar extremes of lens lengths; 3) a reliance on close shots; and 4) wide-ranging camera movements (Bordwell, 121). Rejecting the notion that action blockbusters take leave of spatio-temporal continuity altogether, he argues that this new style amounts to an ‘intensification’ (16) of established rules and practices. The aim of the ‘intensified continuity’ film is to draw attention to its own artificiality, rendering the everyday strange, palpable and haptic at the cost of coherence and spatial orientation. In Quantum of Solace, these techniques convey the trauma experienced by Bond after discovering that his lover was a double agent. Seeking revenge, he proceeds to killing more than a dozen people before discovering the leads needed to end his quest. This reinvention of the everyday culminates in a following sequence set in Bregenz, Austria. As Marcia Citron notes in her essay The Operatics of Detachment (2011), Bregenz’s opera house is perhaps the most exotic location in the movie. The floating stage, for example, separates the audience and the players in a singular way. Such bizarre staging creates a sense of the uncanny, playing out the “conspiracy” (14) narrative evoked by Svetlana Boym in her article Nostalgia and Its Discontents (2007). Quantum of Solace provokes nostalgia by drawing attention to the uneasy and traumatic present, encouraging the audience to re-affirm Manichean values of Good versus Evil in this wider conspiratorial worldview. 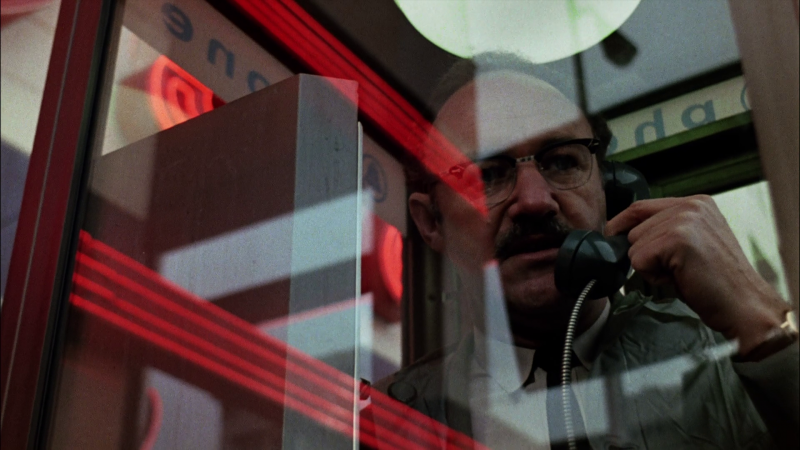 Operating alone, James Bond in Quantum of Solace resembles Gene Hackman’s character in The Conversation (Francis Ford Coppola, 1974; pictured above), a surveillance expert who ransacks his own flat in order to find evidence of government corruption. Through the film style, we experience a schizophrenic breakdown of narrative logic, coherence and temporality that echoes the protagonist’s internal condition. The slow-moving opera plays against the frenetic, ‘intensified’ editing techniques. Such temporal liminality puts the spectator ill at ease, encouraging longings for a more classical editing style. In conclusion, the everyday in Quantum of Solace becomes source of paranoia, as 007 is driven to work against his own agency to uncover the truth. Restorative nostalgia, such as that evident in Quantum of Solace, employs one of two plots: the ‘conspiracy’ (Boym, 14). A haptic, “intensified” continuity style of editing, translates the affect of paranoia into cinematic form and encourages the viewer to adopt a conservative, nostalgic and ultimately more seductive worldview. Hello, Great thoughtful piece on Quantum. I edit the print magazine of the GBFTE (Guild of British Film and TV Editors) and would very much like to use it in the next edition. I have no money to offer but I can promise you a copy of the magazine with full credits with the piece of course. 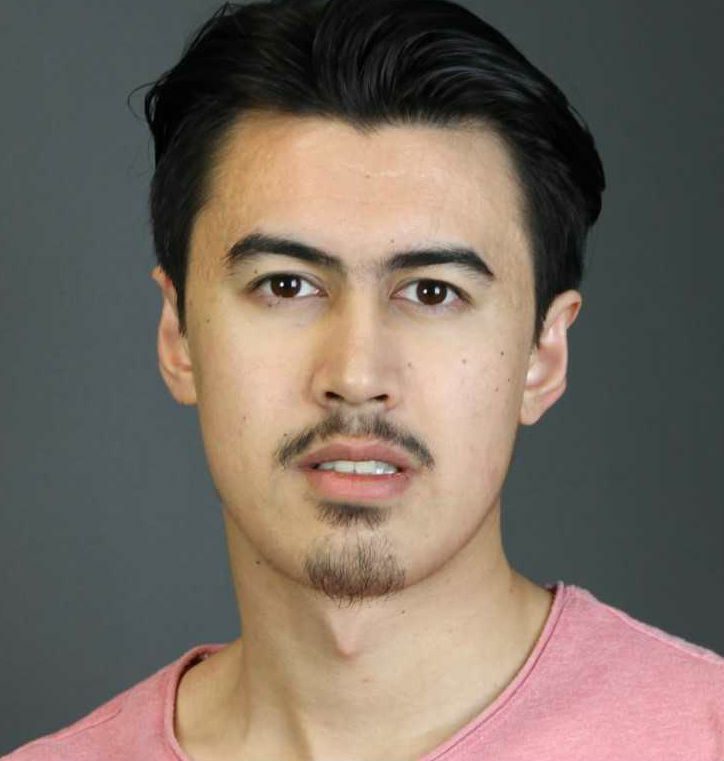 Incidentally (and I say this only from bitter experience), Matt’s surname is ‘Chesse’ not ‘Cheese’. I wrote him a letter with the same error! All good things, Alan. P.S. If you want some examples of the magazine, please send me an email. Hi Alan! Thanks so much for your feedback. I’ve just dropped you a line using your website.